Stan Mullens is an American mercenary in the Congo who sees himself as a good guy with a bad job. Stan’s self-assigned mission to protect his long time brother-in-arms, Frank, takes a serious hit when their boss sends them on an unsupported mission into the jungle to track and kill Tonde Chiora, a former company employee accused of stealing vital company mining technology. As their mission takes them deep into the violent heart of the Congo, Stan soon discovers that his victim hasn’t done anything to warrant being murdered. 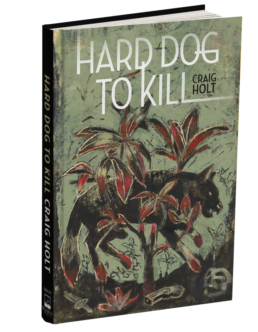 And as he struggles to survive the jungle, his enemies, and Frank’s random acts of violent stupidity, he finds himself increasingly drawn in by the innocence and optimism of the man he is supposed to kill. With his enemies closing in and his friendship with Frank falling apart, Stan has to make a dangerous choice between his old loyalties and his new friends. Maybe hardest of all, he has to make peace with the realization that despite what he’s told himself all these years, he is not one of the good guys.